According to your bio you cook in a tech free kitchen. How does that work? Well, I admit I was overstating the situation–given that, in the history of human evolution, cooking itself can be considered a form of tech. And of course I can’t cook without kitchen basics, like stove, fridge, running water, pots and pans, a good knife. But there’s no space in my postage-stamp-sized apartment kitchen for high tech: no dishwasher, no microwave, no blender, no stand mixer. And I have virtually no counter space. In fact, my ultimate sci-fi kitchen fantasy centers around quantum counter space that can expand on demand in a secret location in the multiverse, which I can access at any time. Sage and Savant: Let us know who your contractor is. We’d like one of those, too! Today we have countless automated devices and delivery services for practically anything. Do you foresee a day when homes no longer need kitchens? 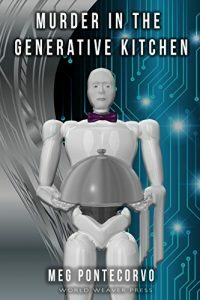 Yes–in fact, Murder in the Generative Kitchen imagines a future society so class-stratified that only the rich have time to cook–and the financial means to have kitchens and homes large enough to accommodate not only AI enabled cooking technology, but “old school” appliances like stove, fridge, and, yes, counter space. For everyone else, kitchens are obsolete. People rely instead on auto-prep machines incorporating food printers (the main character’s rent includes not only heat and electricity, but the nutrient paste that is the basis of meals assembled by the auto-prep machine). In your book Murder in the Generative Kitchen you see our legal system being automated by 2060. What other aspects of our lives will AI impact? And what are the pros and cons of it? At this point, it’s hard to imagine any aspect of our future lives that won’t be changed by AI, given how thoroughgoing the impact is now. As for pros and cons, AI embodies the classic Mobius strip paradox, in that its utopian elements twist into a dystopian nightmare–or, really, that the utopian elements tend to benefit a small class of people, while everyone else must deal with the dystopian consequences. That’s happening today, where the “convenience” of tech means increased labor for those who still have jobs, and a surveillance society that benefits those in positions of power, yet gives ordinary users only the illusion of freedom. Certainly, “big tech” as a “solution” to institutional problems means different things depending on the institution (and its relative wealth). The Silicon Valley elite promote tech as the miraculous antidote to, well, just about everything, and such a vision of the future–the utopian side of the Mobius strip–seems to work quite well for them because they have the money to evolve and adopt the best systems. Outside of the tech epicenter, however, public institutions (such as the DMV or public schools and universities) will always opt for the cheapest possible tech platforms, which then go on to create more problems than they solve. That was the model that I envisioned for the court system in Murder in the Generative Kitchen–and I don’t think it will change much in the future unless we take our public institutions seriously enough to fund them adequately. 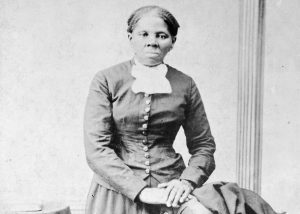 Harriet Tubman, who is far more impressive than any sword and sorcery heroine could ever be! Not only did she escape slavery, then return to lead slaves out along the underground railroad, but during the Civil War she served as a spy, scout, and planner of Union expeditions to free entire plantations full of slaves in South Carolina. Having to adapt to living life as “the alien,” or “other,” in male dominated society, women have, I think, often crafted narratives that offer morally complex portrayals of aliens, whether asking readers to look at the world through an alien’s point-of-view or raising ethical questions about how humans treat aliens (not to mention exploring the key questions: who is the alien and how do we know?). The Creature in Mary Shelley’s Frankenstein is a foundational archetype for the entire genre of science fiction due to his experience of being an outsider, his articulateness in describing it, and his desire to be accepted as human. But great twentieth century women science fiction writers put a gendered twist onto the convention: C. L. Moore in “No Woman Born,” Ursula K. Le Guin in The Left Hand of Darkness, James Tiptree, Jr. in just about everything she wrote, and Octavia Butler, whose perspective on alienness was equally shaped by her experience of being African American. Contemporary women science fiction writers continue to innovate along these lines. 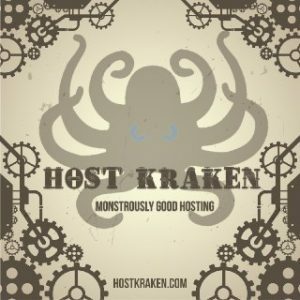 Who is/are your favorite author(s) and why? 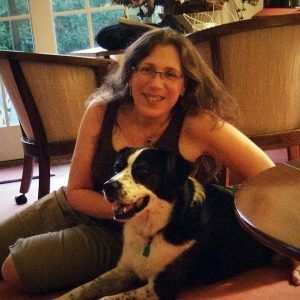 Always a difficult question to answer–but I’m glad you haven’t limited me to one author! Along with the authors I just mentioned, I’ll add Jo Walton and Nicola Griffin, for their versatility (the “and now for something completely different” approach to writing the next novel or series); Elizabeth Hand, Graham Joyce, and Caitlín R. Kiernan, for their stylistic elegance and their blurring of the boundaries between “the supernatural” and the real, especially for psychologically intense human experiences. Also Gene Wolfe (the Book of the New Sun series), John Crowley (Little, Big and the new novel Ka are my favorites), and Mikhail Bulgakov (The Master and Margarita). And I’m a longtime fan of Margaret Atwood and Jeffrey Ford, who tend to view human experience from a cynical perspective, but temper it with such sly wit and black humor.